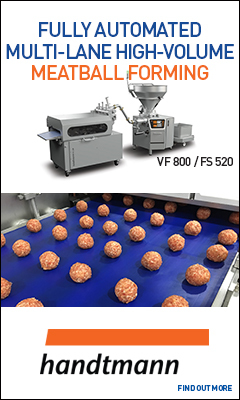 Meatingplace is the premier multimedia information source for the red meat and poultry processing industry. Focused on the U.S. & Canadian markets, but read worldwide, Meatingplace delivers news, technical information and strategic insights through a monthly print publication, website and events. If you are interested in Latin America, our sister brands, CarneTec (www.carnetec.com) and CarneTec Brasil (www.carnetec.com.br) serve the information needs of the red meat and poultry processing industry in Mexico, Central and South America and the Caribbean. .
Marketing & Technology Group, founded in 1993, is a Chicago-based business-to-business media company whose properties serve the global information needs of professionals in the North and Latin American red meat and poultry processing, U.S. foodservice and global hospitality industries. .
For advertising information please contact the Publisher, Bill Kinross: bkinross@meatingplace.com.